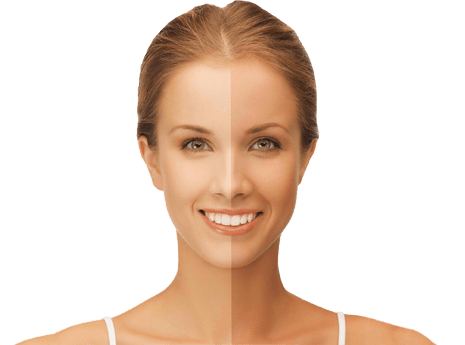 When talking about tanning, be it through tanning beds, oral cosmetics, or sunbathing, a few recommendations to protect your skin from the adverse effects of these methods are never superfluous. Once summer slowly starts to sneak in, we resort to various methods to turn our pale white skin into an attractive olive-like complexion, perfect to show off through the revealing summer outfits. The classical tanning safety method by sun exposure involves the use of efficient sun protectors, which contain, SPF (Sun Protection Formula) filters. These protectors are available in many formats, such as lotions, oils or creams. Once applied, it creates an invisible barrier between the UV rays and the skin. However, there is a downside: the larger the SPF rating we use and the higher its protection factor, the less intense and durable the acquired tan is. The advantage is that this is less harmful to our skin. Specialists advise that, before going to the beach, a thorough clean of your skin is absolutely necessary. Take care not to leave traces of lotion or perfume on the skin, as the areas that are not cleaned properly become more exposed to burns. Scrubbing exfoliation cream is also highly advisable, provided that it is not too aggressive. If you scrub too hard it can damage the skin. Small scratches can turn into real burns during sun exposure. Do not forget to apply a generous amount of SPF sunscreen every time you leave the house, taking care to apply to all parts of the skin which will come into direct contact with the sun. If you are prone to allergies, make sure to use a hypoallergenic product. Keep at least two days of rest between intensive tanning sessions. You should also keep in mind to protect your lips with an SPF balm and wear a hat on sunny days. Just like your skin, your eyes can also suffer from the harmful effects of sun exposure, even if they are not directly exposed to UV rays. So make sure to protect them as well, using quality sunglasses. In addition, when you visit a pool or the sea, you must use waterproof products. In order for the skin to slowly accommodate sun exposure, experts advise that you start your tanning process with no more than 10 or 15 minutes sessions. Also, make sure the SPF value of your sunscreen is at least 15. Before applying SPF lotion to the whole body, test it on a small area of skin to make sure that you are not allergic to it. If you follow a medical treatment for acne, you should consult your doctor before exposing yourself to the sun too. Some active ingredients in acne treatments decrease the skin’s resistance to the sun. Hydration is an essential activity and even more so after tanning. It is advisable to apply an Aloe Vera based moisturizing cream. Aloe Vera is a plant that not only moisturizes but which is also known for its soothing effects. If the tanned skin is not sufficiently hydrated, the colour will become uneven and the skin will start to peel. Moreover, since hydration is extremely important, it is better to have it done all over the body. Do not forget the rule of drinking two litres of water per day, especially during the warm season as water is lost from the body faster. Do not forget about the lotions for tan maintenance. These lotions can be applied even if the tanning process is not over yet. These products usually contain Panthenol, Aloe Vera, and vitamin E. These supplements give flexibility to your skin and helps the tan settle better. A perfect tan requires good preparation and even better maintenance!